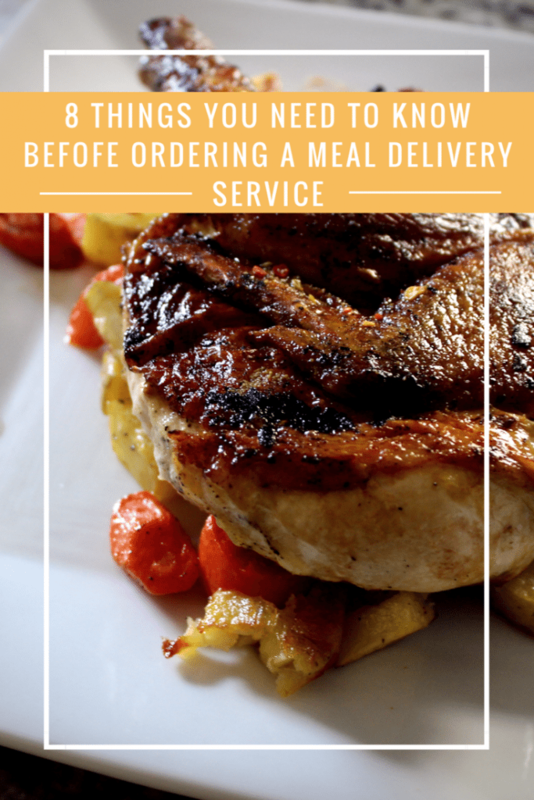 I have seen the popularity of meal delivery services increase lately and I completely understand why. 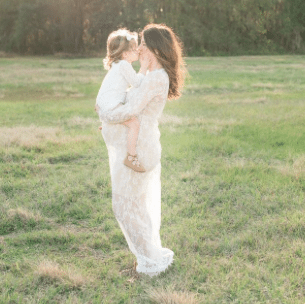 Our lives are busy and we need faster and easier, especially when it comes to dinner time. To be honest I have been skeptical of these services, not really sure if it would be a fit for my family. 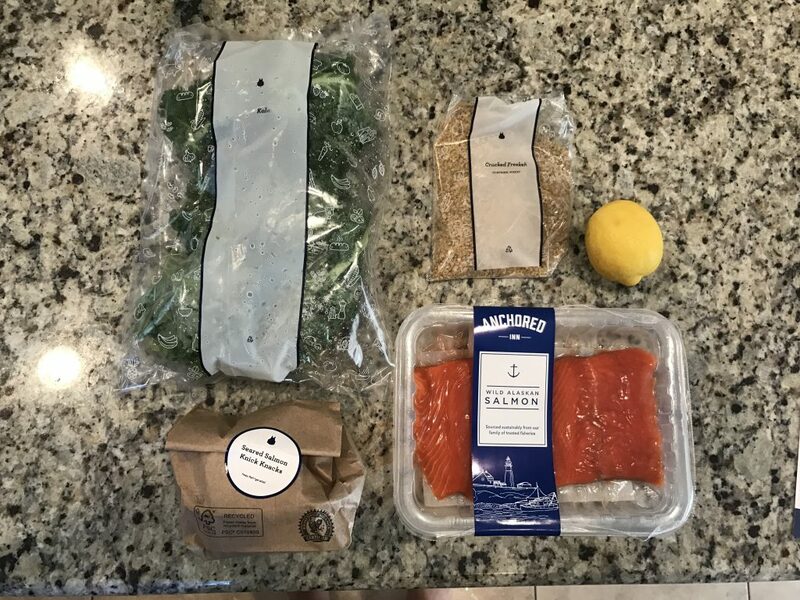 Recently I had the opportunity to try Blue Apron and it gave me a new found appreciation of what meal delivery can really offer. If you are like me and wondering if these services are too good to be true or even a good fit for you at all than I have something that can help. 2. It’s not fast food – everything is pre-portioned which does cut down on some time but you still have to commit time to cooking. My Blue Apron box came with fresh ingredients which I had to prepare with the recipe they gave. Yes it’s more work than just popping a lasagne in the oven but I would rather do the extra work to have a fresh, healthy and restaurant quality meal. With that being said I liked having the items measured out and I do feel like my cooking time would be double if I had to search my kitchen and portion out everything I needed. 3. Less waste – You wont be throwing away unused veggies or extra sauce because Blue Apron only provides what you need. 4. You don’t need a lot of cooking experience – I am not the best cook so that was one of my main apprehensions. The directions were detailed and clear and easy to understand. I actually learned a few new techniques that I will continue to use in the future. 5. You won’t be hungry – I get worried when meals are preportioned. My husband and I can eat and if I am going to spend the time to make something delicious I want to make sure I have enough. 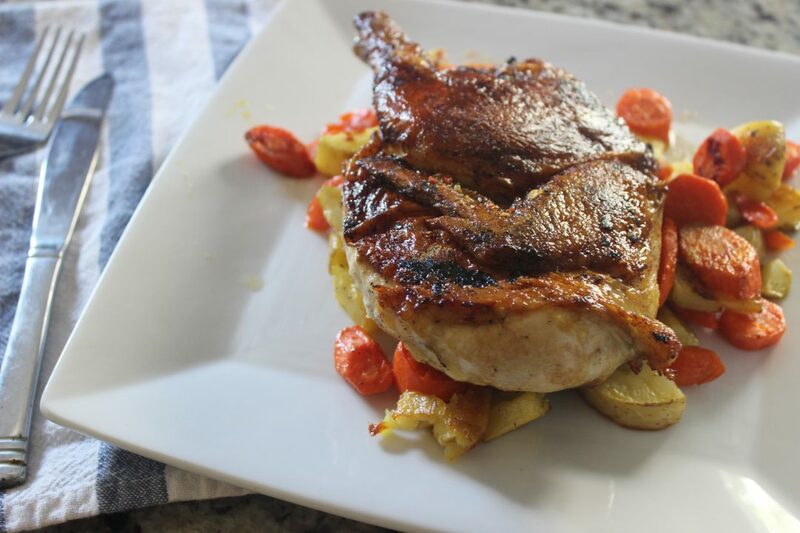 With my Blue Apron meal I had plenty of food to feed my husband and myself. With each meal I had a happy, full belly. 6. 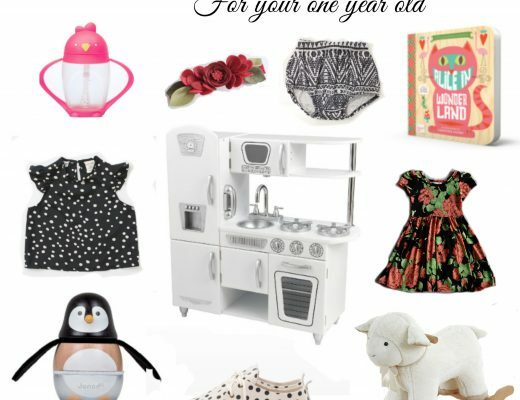 Have your dishwasher ready – the meals are of the gourmet kind (which i love) so there are a few more steps and that means a few more items to clean. 7. 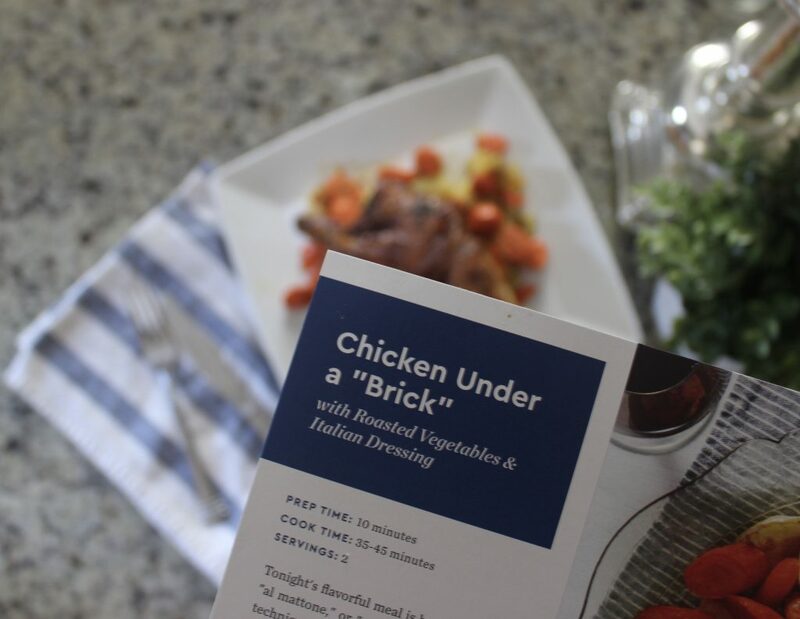 Be prepared to step outside the box – this was my favorite thing about Blue Apron, the recipes were like nothing I’ve made before. As a mom who makes mac n cheese on repeat I love that I am making something that I’ve never made before. 8. 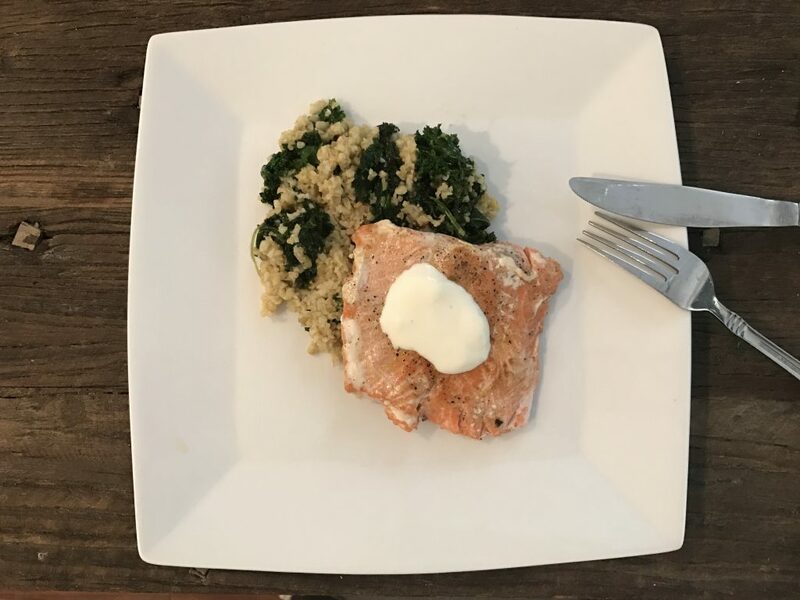 You can feel good about your meal – My Blue Apron meal was convenient and easy to prepare but best of all it was delicious and healthy. It gets better. 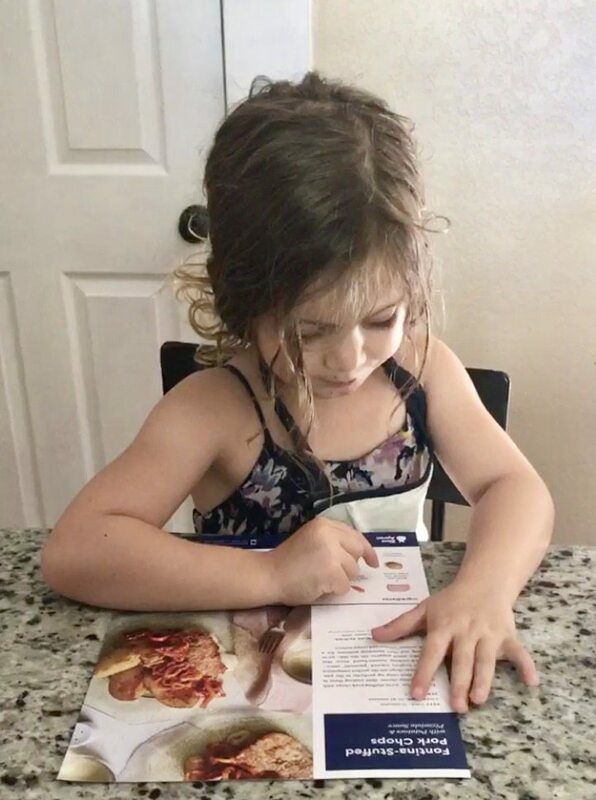 Blue Apron uses fresh and locally-sourced ingredients that promote sustainable practices and reduce food waste so your tummy and your heart can be happy. Overall I was really happy with my Blue Apron meals. I plan to continue to have them delivered each week to help me save time with fewer visits to the grocery store. If you would like to try Blue Apron for yourself try this $30 coupon code. Have you tried Blue Apron? I would love to hear some of your favorite recipes. Click Here to check out whats on the menu this week and leave a comment telling me which is your favorite. Sounds delish! I’ve been wanting to try out a service like this. Saves time and doesn’t waste food! This is so helpful! I have been wanting to try one of these! I’ve heard a lot of great things about Blue Apron. I really want to try it! All of your meals look great.